If there is one place you should visit during your stopover in China, Macao is a priority. Whether you arrive in autumn, winter or spring, you will be continuously seduced by the beauty of this multifaceted region, renowned for its casinos and undiscovered treasures. 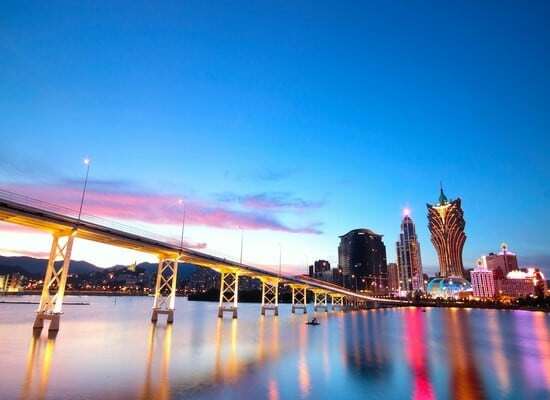 Composed of Macau peninsula and two islands Taipa and Coloane, Macau is its own paradise. History enthusiasts will be fascinated by its countless vestiges that testify to the Portuguese presence on the territory. You will also have the chance to do plenty of sightseeing while visiting the historic centre of Macau. Piazza, temples, churches, Moorish barracks, cemeteries await you at every street corner. Last Updated: October 03, 2018 11:57 ESTThe Health tab was updated - travel health information (Public Health Agency of Canada). Macao serves as one of the safest places in Asia with regards to health. The health care system proves excellent and the health problems posed to foreigners are non-existent. You will have access to a variety of hospitals and clinic, including the Macau Health Department, the Kiang Wu Hospital or the Taipa Medical Center. If you are victim of an accident or are suffering from a serious illness, you will need to be medically evacuated by plane to Hong Kong. Whilst pharmacies are well stocked, they offer many forms of traditional Chinese medicine. It is wise to bring a first aid kit before travelling to the Macau territory. For emergency services in Macao call 112 for a public ambulance. Is Macao Safe for Travel? Do I Need a Visa to Visit Macao? Prior to travel, make sure you check with your transportation company about any passport requirements. This is important as in some cases their regulations on passport validity may be more strict than those of the destination country. If staying under 30 days, then only a passport is required to enter Macau. The passport must be valid for at least 30 days beyond the date of departure. If you’re planning a stay for more than 30 days, then Macao’s Immigration service must approve the duration of your trip. It is advisable to make a copy of your original passport in case you lose it. Please note that this is the website for the Canadian Embassy in Hong Kong. There is no Canadian government office in Macao.